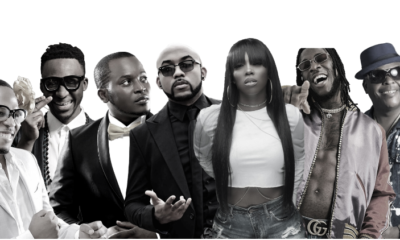 Banky W has just dropped a new video for his song ‘Made For You’. 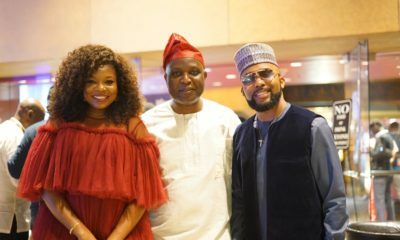 The video stars actress Adesua Etomi as Banky’s love interest and the video kicks off the night before their anniversary, with her character asking the age-old question “where is this relationship going?”. Banky’s character’s response to the question is hilarious, and his plan to answer the question is priceless. The video was written, produced and directed by Banky Wellington for EME / TILT Productions. It was shot in New York City. The Kiss really caught my eye! The video was ‘ok’ Banky W is improving as a director, its nice to watch his growth. @Dammy – you’re sure? how?…msccheww. In any any case, how e take concern you? I agree the song is beautiful etc, but banky what about your team and their own visuals what about nini come on now!!! 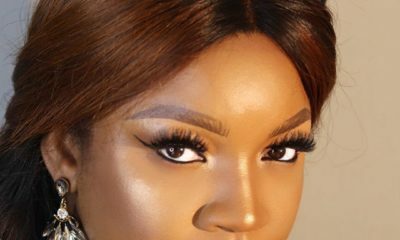 Another hot song from banky w. Adesua nose is so unique, please don’t change it. I love it when someone has a unique feature. Beautiful, and elegant lady. Banky W, thanks for teaching us what ‘back-to-back means! Concept and Content always on point! @Prince..dang! All that abuse because someone doesn’t like something you like? Stolen? Did Anyone complain to you? Shame on you. Absolutely love the video. The fact that it’s a Nigerian gal . It’s all part of the lets use Nigerian product movement ?? and I love it. Lol why are people haters. Oya it’s the same beat kill urself. Love like the movies…That’s Banky’s kinda love.He has it all figured out?? Dreamer like me!Is he a piscean? @hotspice_yimu I will pass your message to Banky W. lol. Sometimes it’s so scary ….that fear is not peculiar to ladies alone! Men are worse off.Na to find one STRONG girl wey go hold him down by fire by force. i'm lonely but i deserve love. banks w is killing this!!! Hmmn… if only it were this easy to just ask someone where the relationship is headed then you get a proposal the next minute. LOL. The day you try that with some poeple is the last they pick your call. #IWC…that’s how Ik Osakioduwa labels it…Intimacy Without Commitment. This is 2016 #ReceiveSense! I love Adesua Etomi – she is so elegant. And I love Banky….Good work man! I love her earrings, any idea where I might purchase them? I thought i was the only one who noticed the lovely earrings. If you find out where she got them from, please lemme know biko.? Best onscreen naija kiss eva! Was this girl not Tolu Etomi? Her name used to be Tolu in high school sa. I am guessing it’s the same person not her sister. This is dope! Banky W killed it and plenty of my love to Adesua? cheesy, lovely, dubbly-you, well done. i love the effects. just curious – is it a Nigerian thing to mise kisses? as per only one kiss, engagement. how long till the next one? Wholesome song about love. Glad we still make clean songs to celebrate love between a man and woman! On this one – go Banky!